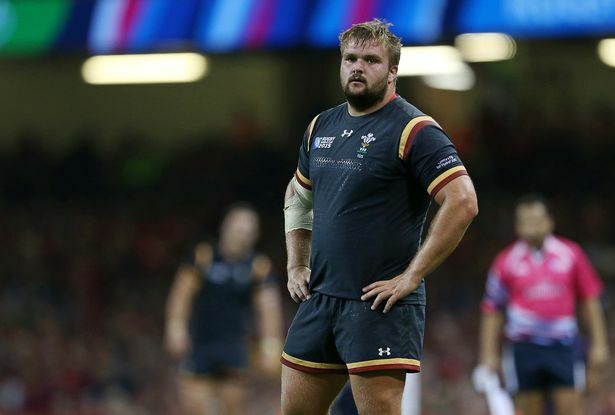 Wales prop Tomas Francis has been cited following the 25-21 defeat against England at Twickenham on Saturday. Francis has been cited by the independent citing commissioner for ‘allegedly making contact with the eyes or eye area’ of England tighthead Dan Cole during Saturday’s match at Twickenham ‘in acts contrary to good sportsmanship’, the Six Nations organisers have announced. Cole was shown a yellow card for a technical offence just before the review of Francis’ action, which meant the prop ended the game in the sin-bin. If the 23-year-old Francis is found guilty at the disciplinary hearing, which is to be held later this week, then he could be looking at a lengthy ban. England wing Chris Ashton was given a ten-week ban for a similar offence back in January during a European Champions Cup game for making contact with the eye area of Ulster back, Luke Marshall. Many thought the ban was harsh. South African referee Craig Joubert opted against carding Francis during Wales’ 25-21 defeat, and the citing commissioner must now decide whether he feels the incident was worthy of a red card or not. However, Joe Marler will have to wait to see if he is punished for his ‘gypsy boy’ comment against Samson Lee. He does appear to have escaped punishment for an incident where he appears to plant his forearm into the face of Rob Evans after Cole was denied a first-half try by the television match official. But the Harlequins loosehead could still be punished for the Lee incident which is still being looked at by Six Nations officials who confirmed on Sunday night that this investigation was ongoing. The citing process remains open to 6 pm on Monday, 48 hours after the game was completed. The England camp have issued a statement explaining that Marler apologised at half time of the match to Lee and has spoken to head coach Eddie Jones about his responsibilities. Six Nations Chiefs had confirmed they will look into the incident after sound on video footage picked up by referee Joubert’s microphone during a first-half melee clearly transmitted the offensive words being shouted at the Scarlets forward. Shortly afterwards, Marler is seen striding towards Lee before the pair squares up. The incident has since been posted on social media sites, with some fans calling on Six Nations chiefs to take action.